Danse Macabre – Grand Opening Show – The art of Sandra Hultsved. Into the Afterlife’s journey fully immersed in songs, dances and congratulations for the final farewell. A superstitions ritual, born from mysterious and playful minds, during the baleful period of the Black Death. 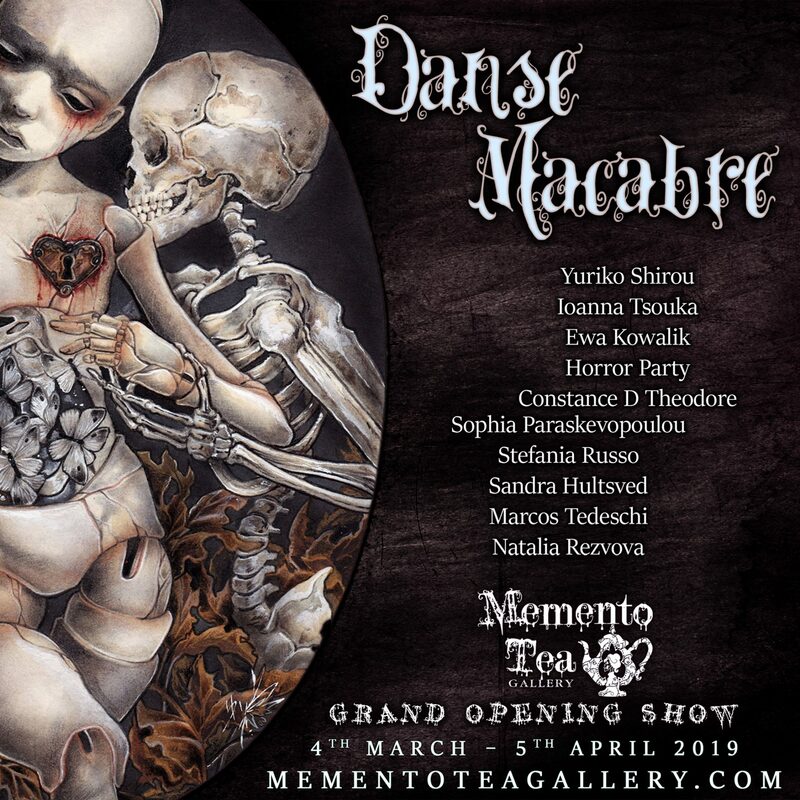 Memento Tea’s Grand Opening will serve you its main dish: the Death.